HOLLYWOOD—It is very difficult in the world of superhero films to bring an iconic character to the big screen that actually entertains audiences. I thought “Elektra” was horrid, “Catwoman” was dreadful, and then came “Wonder Woman.” It was the first superhero flick led by a nearly all female cast and the wonderful Gal Gadot that changed everything. Our title character was captivating, the narrative was enthralling and above all the movie entertained. 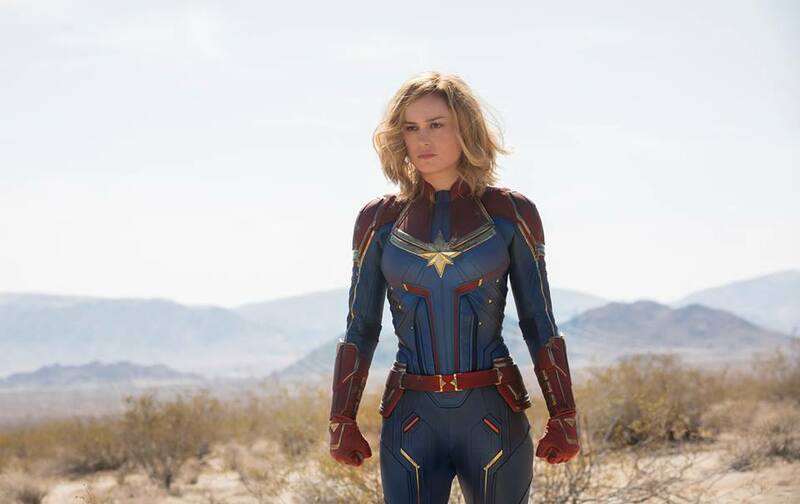 That was DC people, and after nearly years of waiting, Marvel has finally unleashed its first female-driven superhero flick with “Captain Marvel.” I will be the first to admit that I had no knowledge whatsoever about the character Captain Marvel and she is apparently one hell of a badass. Marvel’s film version of the character bites off a bit more than it can chew if you ask me. Is there an issue with the casting? No, Brie Larson is perfection in capturing the duality of this superhero whose powers are greater than any superhero we know. She has a soft side, but there is a slight edge to the character. It is almost difficult for me to imagine anyone else encompassing the role to be honest. Her sidekick, Nick Fury (Samuel L. Jackson) is incredible. These two have fantastic chemistry on the screen, which is a major reason the movie wins major points; that dynamic is not something you can just cook up, and Larson and Jackson work wonders with their characters, which draws the audience in that much more. My biggest gripe with “Captain Marvel” is the narrative. The thing about an origin tale is it has to have the right level of balance, and it’s something so many flicks struggle with. The only film that I think has perfectly captured this in a way that it worked effortlessly was Christopher Nolan’s “Batman Begins.” We got a slice of Bruce Wayne as a kid, as an adult and as he transformed into the Dark Knight aka Batman. That flick hit all the notes. With “Marvel” it struggles to find that balance and a big impact is the fact that the audience has to rely on a ton of flashbacks to get up to date on who this woman is and why Carol Danvers (Larson) is so captivating. If you’re playing with the element of time you have to be aware of proper pacing and not to have these lulls that cause the spectator to lose interest. It takes a bit of time to get moving, but the plus is once it reaches that point the adventure is fun as hell. There is plenty of action, a formidable foe in Talos (Ben Mendelsohn) aka Keller, who is a shapeshifter; that makes his strike quite deadly. There are wild visuals, fun supporting players and moments of shear brilliance, but that is outweighed by moments of boredom. I wanted a bigger punch from “Captain Marvel;” an origin tale is not just letting the viewer learn about our hero it’s entertaining us from start to finish.